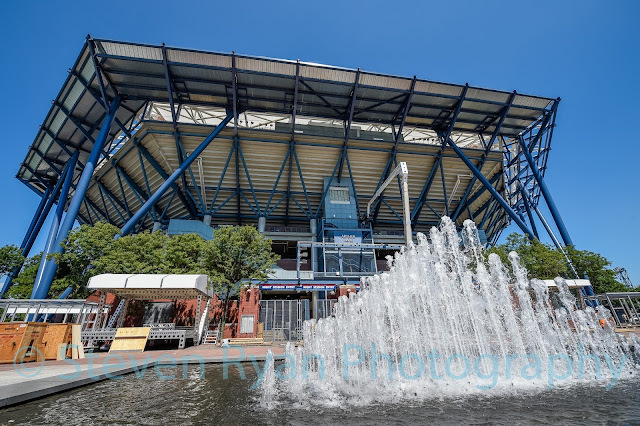 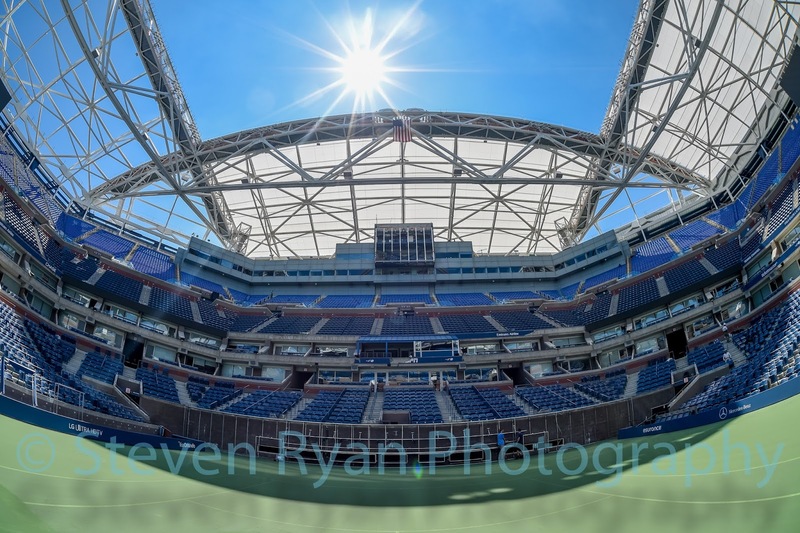 Today I had a great opportunity to tour the grounds of the US Open and Arthur Ashe Stadium. 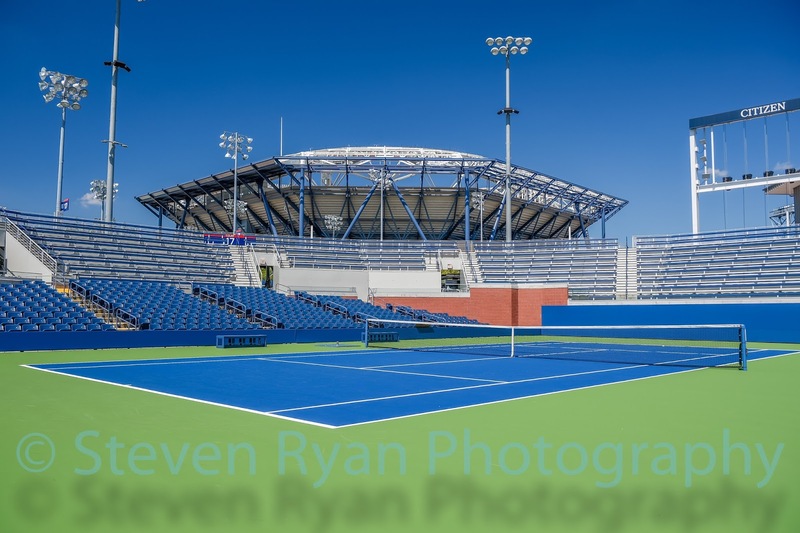 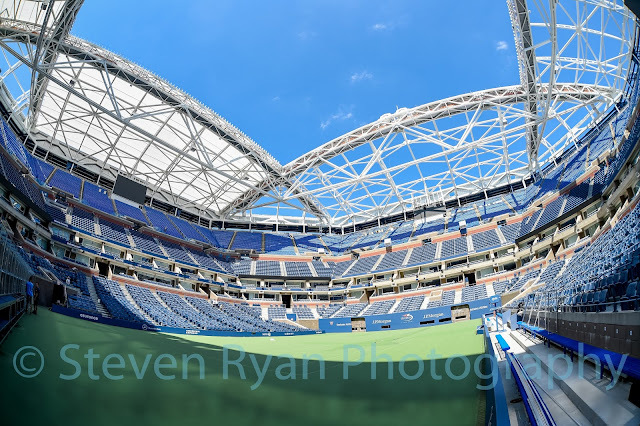 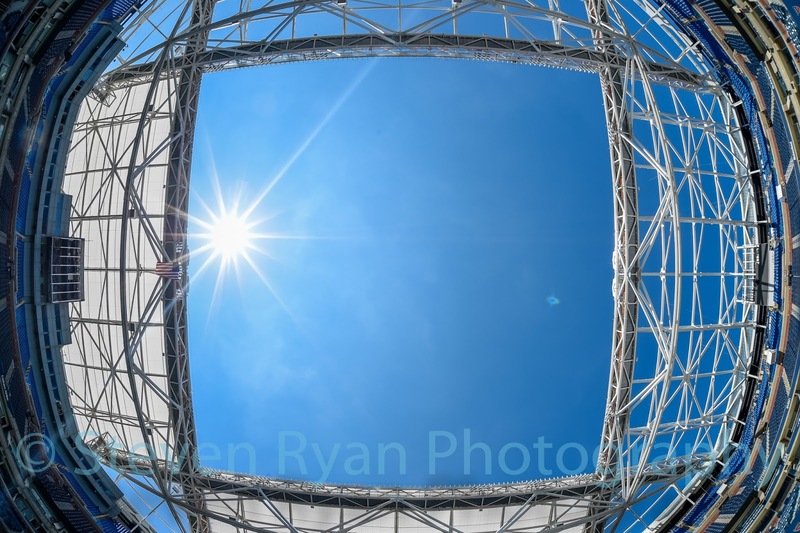 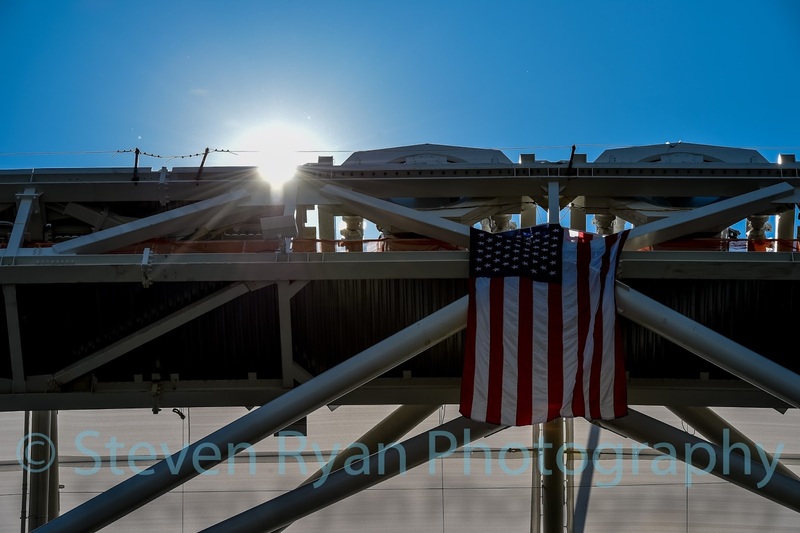 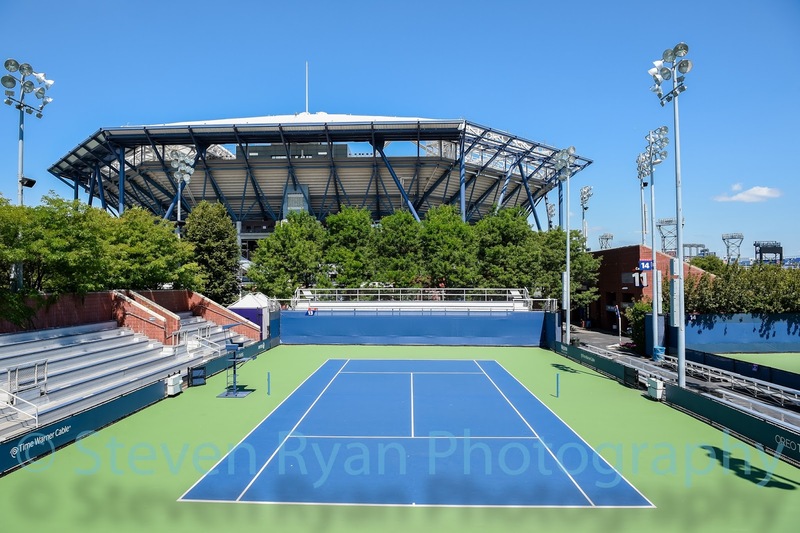 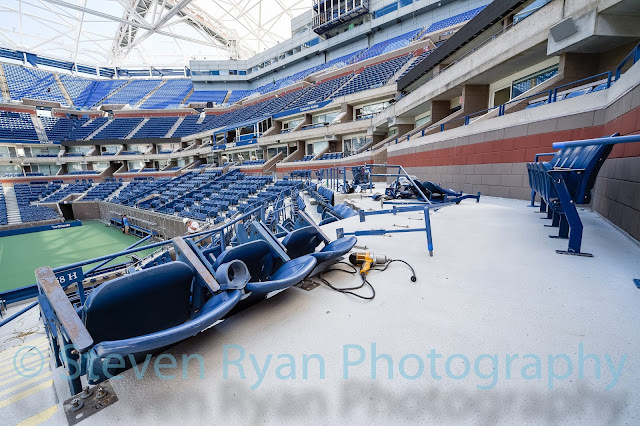 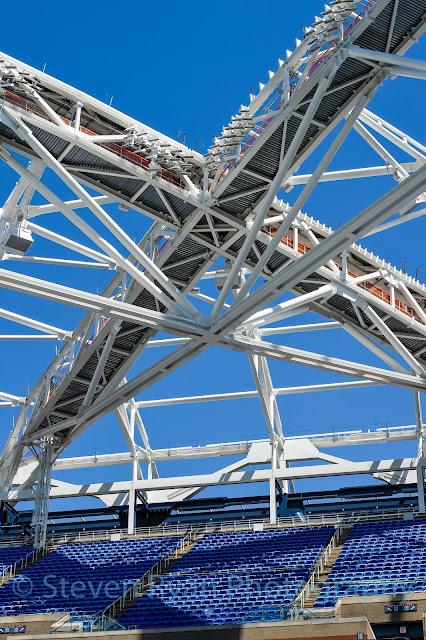 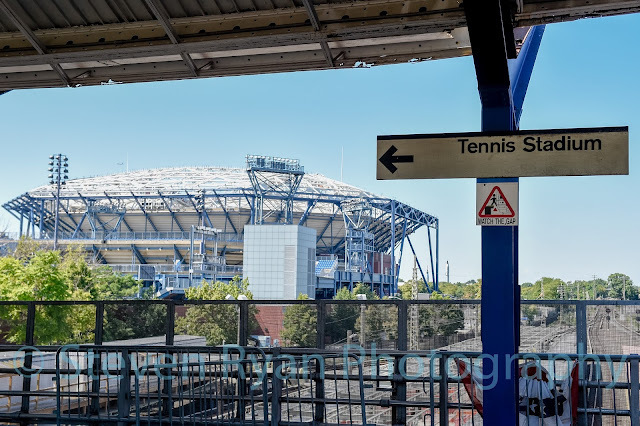 My assignment was to get photos of the Stadium and how it has changed since this will be the first US Open with the roof "superstructure" in place. 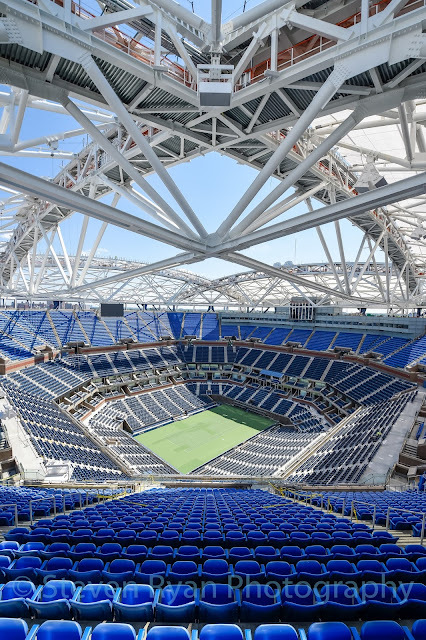 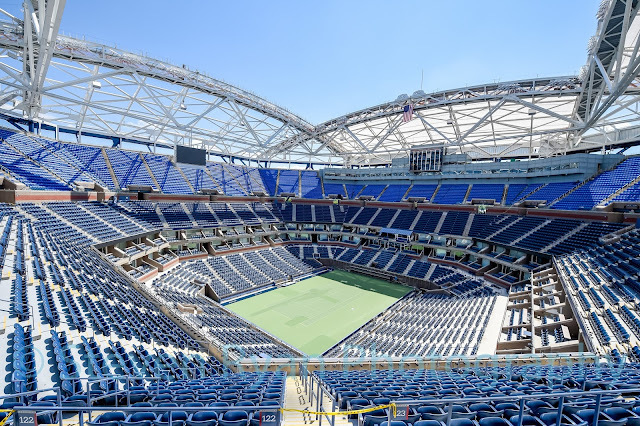 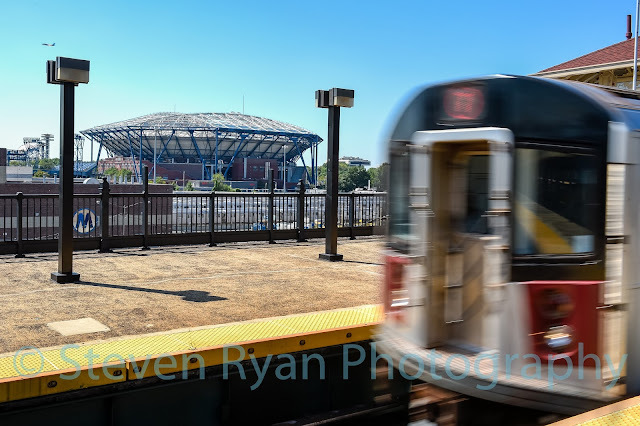 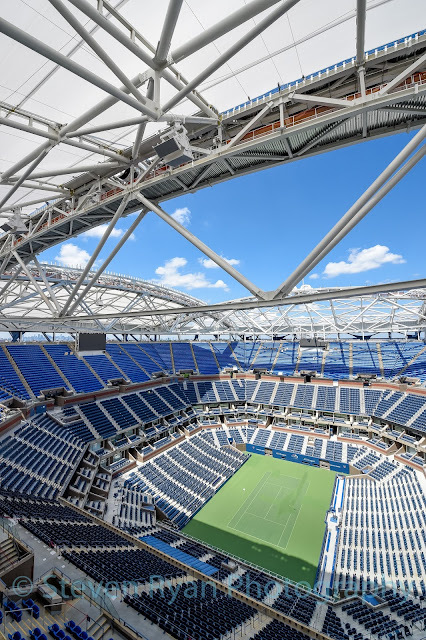 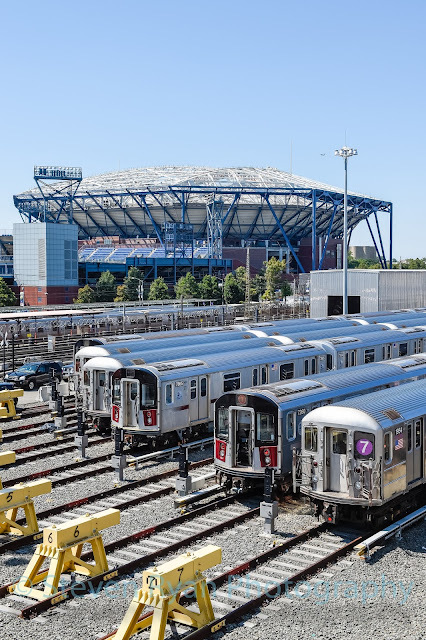 The roof will not be operational until the 2016 US Open, but the major infrastructure is now in place. Here are a selection of photos from my tour around the grounds today. 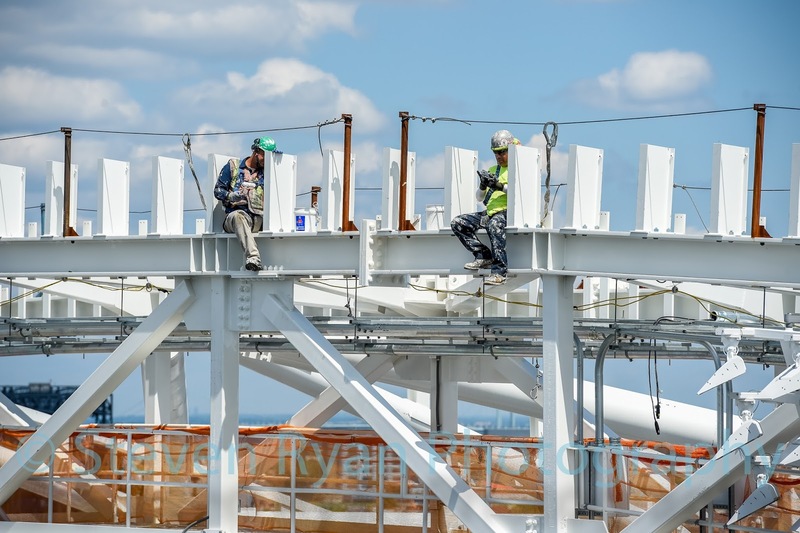 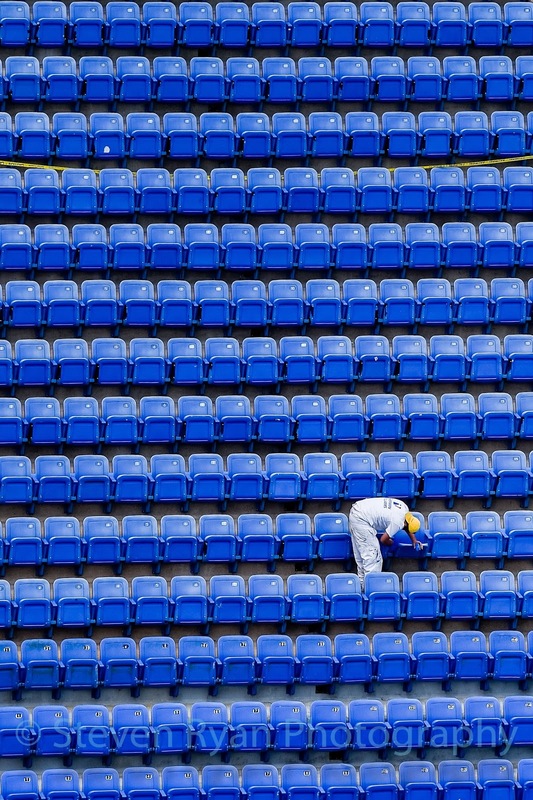 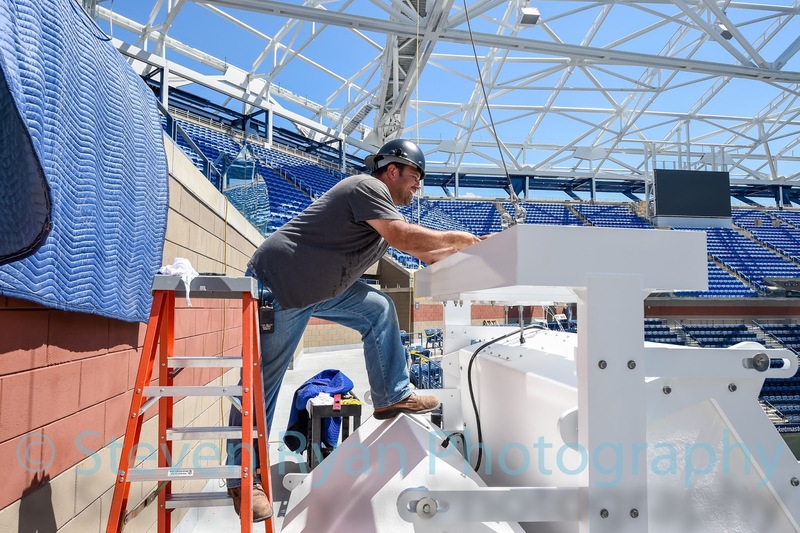 A worker is preparing one of the many new speakers being hung from the new roof for use at this years US Open. 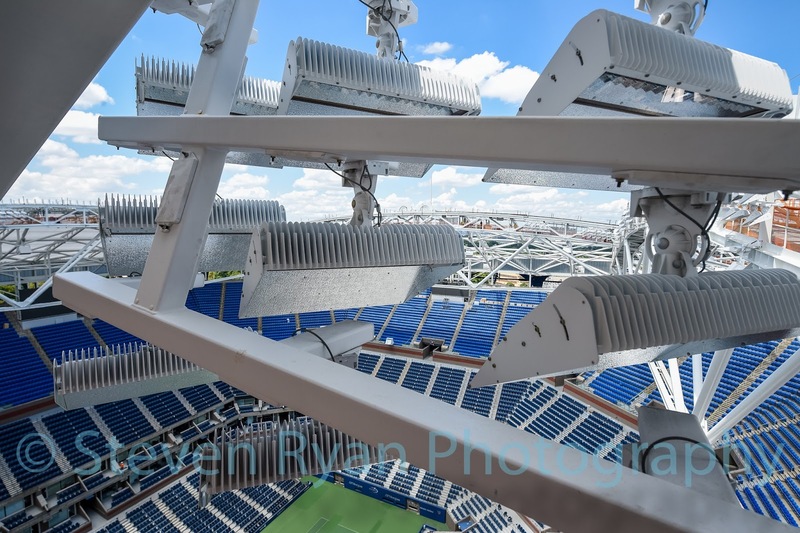 Brand new LED lights are being used for night matches at the US Open this year. 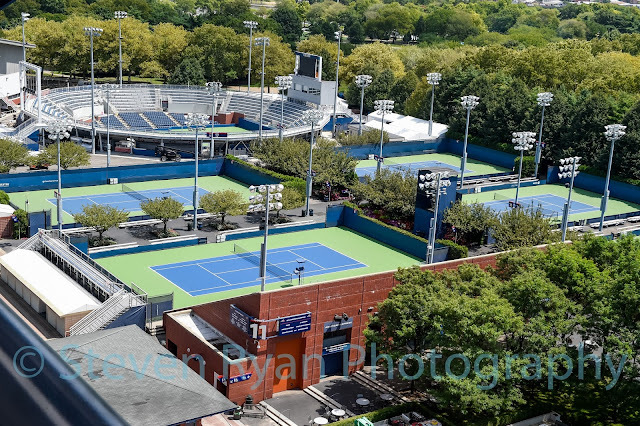 A view of the grounds from Arthur Ashe.